I hope you are well and your summer was hot! Mine was great, Geek Picnic in Russia in June, TedX Cibeles in Madrid, Fab11 in Boston in July, Brazil in August at FabLab Insper. Travelling and meeting different people is food for your soul. It gave us a very big visibility in the country and worldwild. Beside, we are suffering of a lack of time to develop the hand, but I can see that a lot of projects similar are happening around (Open Bionics, E-Nable, Limbitles…) and this is good hope for people in need. Our Association My Human Kit is finalist of the Google Impact Challenge competition! We have been selected among 280 non profit organizations, we are now 10 and we need the vote of the people until the 7th/10. As we are all volunteers, we are the smallest and we need your support. Can you please vote and share it to your friends, colleagues, neighboors, the butcher, or ayurvedic shop, your favorites social networks, internet sites…. 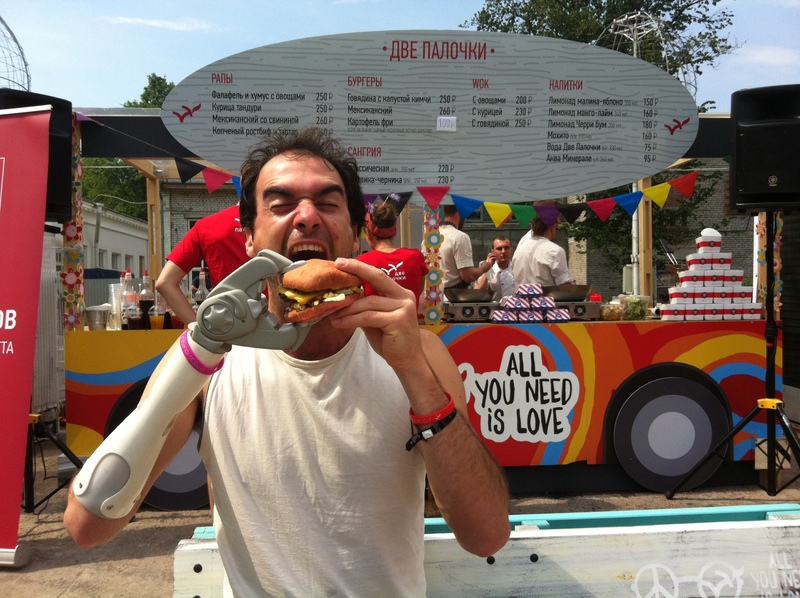 3- Create a « Handilab » which is a FabLab dedicated to and with disabled people to fix your body and self-esteem. And we will celebrate it together!